What's Included in This Bundle? Behold a bundle curated to provide power and innovation all in one place with the Wismec Reuleaux RX2/3 TFV8 Vape Bundle. This vape MOD bundle combines three powerful elements to deliver the most formidable vape you've ever experienced. 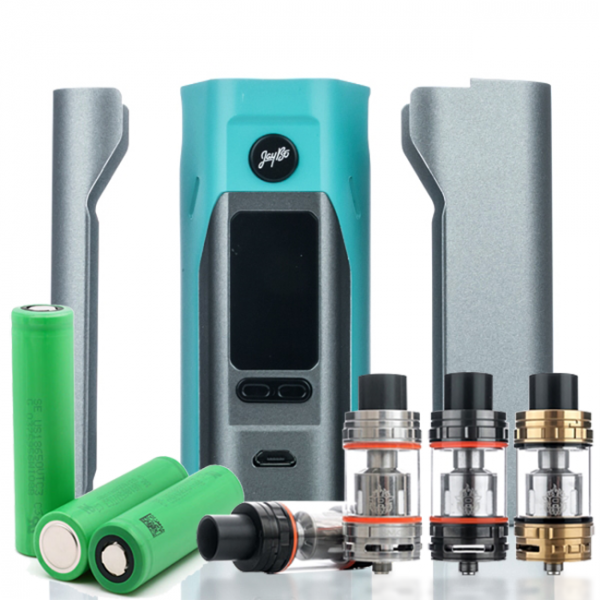 The Wismec Reuleaux RX2/3 Vape MOD starts off this bundle offering never before seen innovation that brings true power and customization to the palm of your hand. 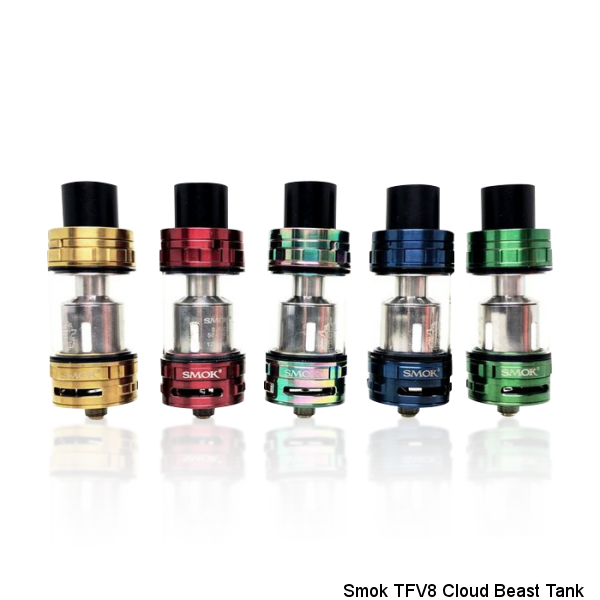 This vape MOD provides the ability to chose between two or three 18650 battery compatibility for a diverse range of capabilities. Two batteries will power this amazing vape MOD to 150 watts and if you choose to use three batteries, this vape MOD will pump a smoldering 200 watts will the greatest ease. A 0.96" OLED displays all of your vaping information in a stacked flow design for the most streamlined use attainable. 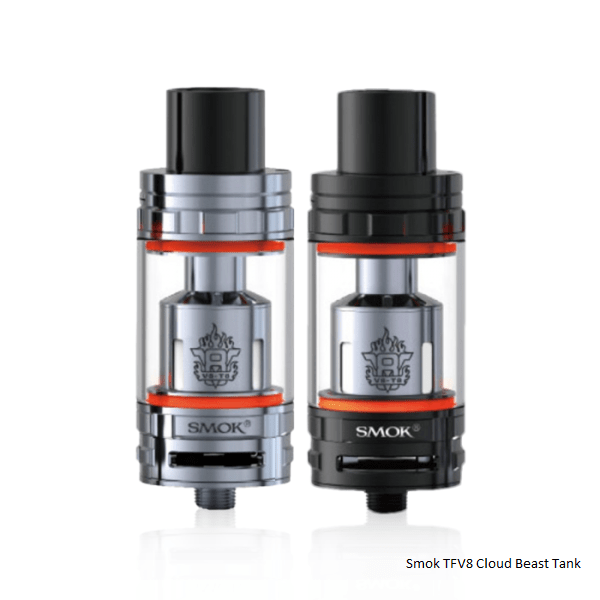 The Smok TFV8 Cloud Beast Tank included in this bundle offers incredible flavor along with coil options that will deliver impressive vapor production with every draw. 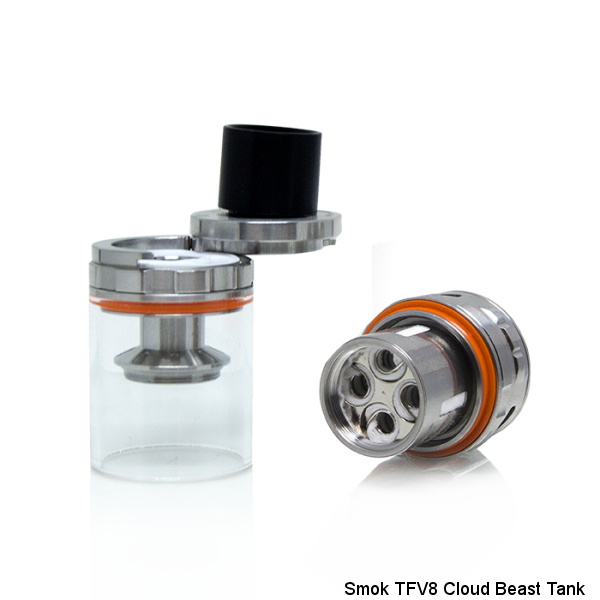 An easy to use top fill system will guide juice down into your coil allowing for the quickest preparation possible. As an added bonus, we've included 3 x mighty Sony VTC5 18650 batteries to fuel your Wismec RX2/3 to its maximum potential. 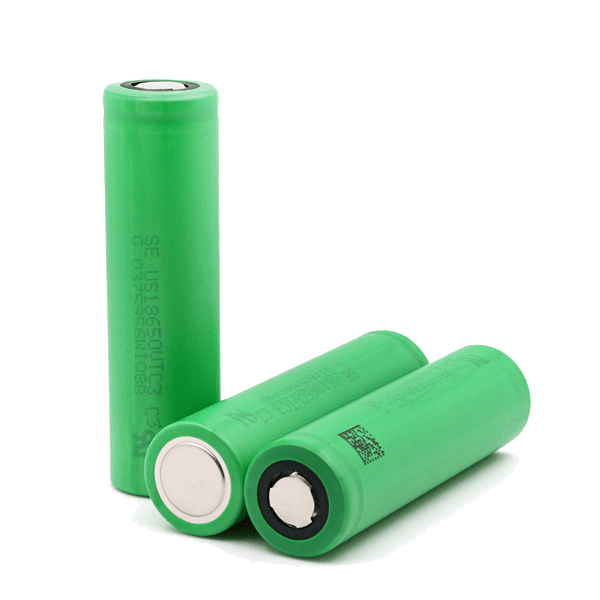 These 30 amp batteries offer 2600mAh of battery capacity meeting even the highest wattage vaping demands. 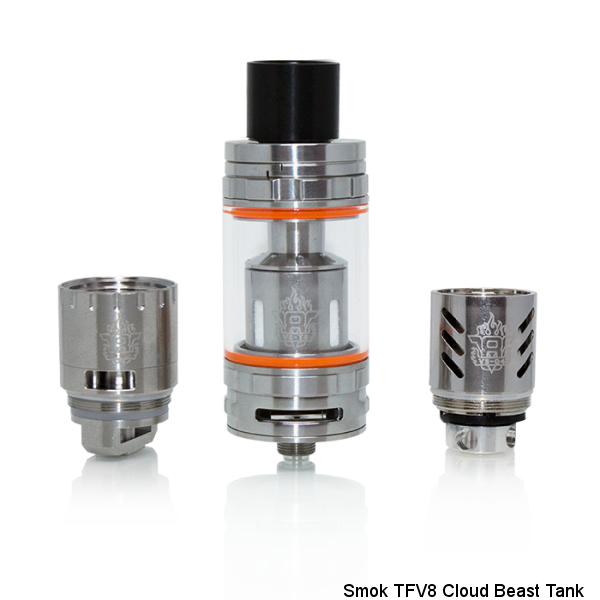 Be sure to buy your Wismec Reuleaux RX2/3 TFV8 Vape Bundle today! Recently got this wismec, had it for a couple months or so and the wires for the battery burnt out, I loved this mod, I want a second one but I don't want to waste some money on another one, pretty sad that this mod went out on me, overall this mod made some beast clouds. Wismec Reuleaux RX2/3 TFV8 Vape Bundle from directvapor.com, assembled everything, added my favorite e-juice and really enjoying the flavor I've been missing on my old vape which used a Cleito 120 that leaked like crazy. 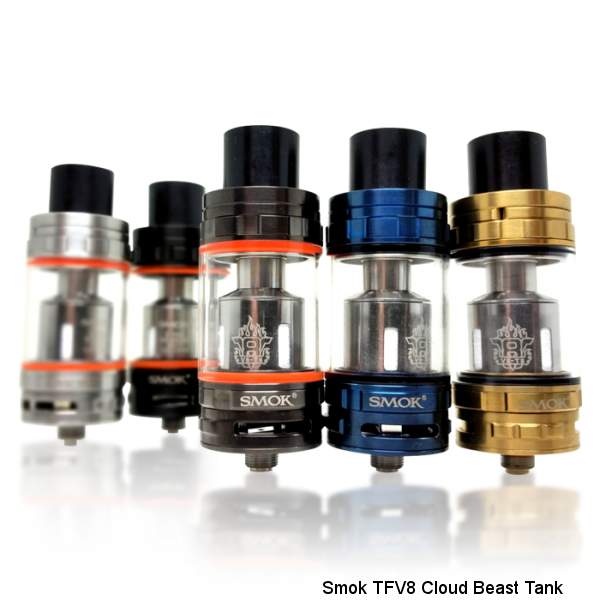 Not at all with Smok TFV8 Cloud Beasts awesome design. Very happy with this discount purchase that would have cost $150.00 or more locally! Thanks. I love this mod and the price cant be beat! I can make thick clouds with no problem. Only drawback is the tank. Works good but leaked. Simple switching of parts that it comes with and works like a charm. Absolutely love this bundle!!! I bought myself the matte white box mod and the purple tank and the black box mod with gold tank for my husband. I did have some issues with my tank leaking because of a bad coil that I had to change but have had no issues otherwise and highly recommend the TFV8 tank for anyone who likes big flavor and huge clouds. The mod is also awesome. I run it with 3 batteries and don't have to charge it but every couple of days. All together super satisfied with my purchase and with Direct Vapor. Love this site for all my vape needs!!! Love this bundle... had everything I needed and I love the added purple cloud beast tank! I went with the black mod and purple tank ... beautiful! Add on a battery charger and some extra coils! Cloud beast is definitely a juice guzzler that's the only downfall to me!